Amir’s Garden is no mere garden; it’s one of two unique and awesome picnic areas on the east side of Griffith Park. The most surprising place for a picnic is probably the Old Zoo Picnic Area, where you can dine alongside old animal pens. Amir’s Garden is the most pleasant place for a hike-in picnic, with a selection of picnic tables surrounded by a volunteer-supported sanctuary of flowering greenery. 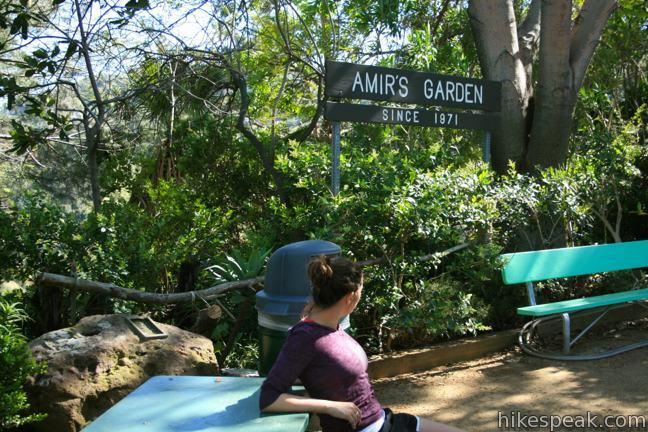 It is a 1-mile round trip hike to Amir’s Garden with 275-feet of elevation gain – just enough effort to make you hungry for a peaceful meal in the outdoors. 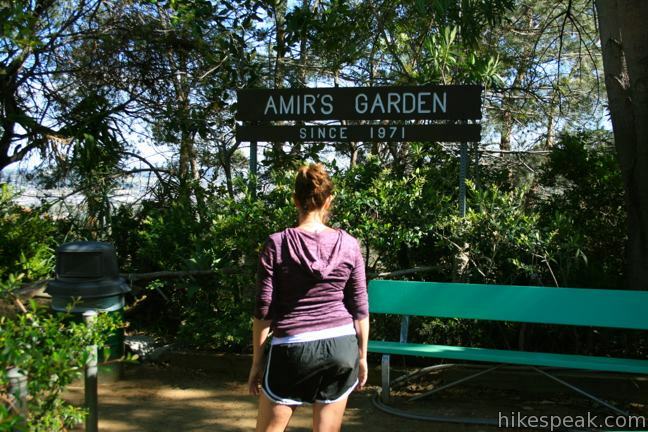 The hike to Amir’s Garden actually begins near one of Griffith Park’s larger picnic areas, Mineral Well Picnic Area. Find the dirt service road heading west from the intersection of Griffith Park Drive and Mineral Wells Road. 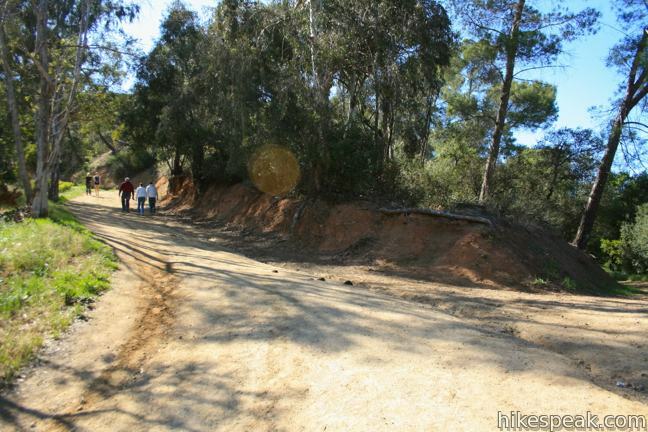 Walk straight through an immediate junction and follow the dirt road on a southwestern climb to Amir’s Garden. 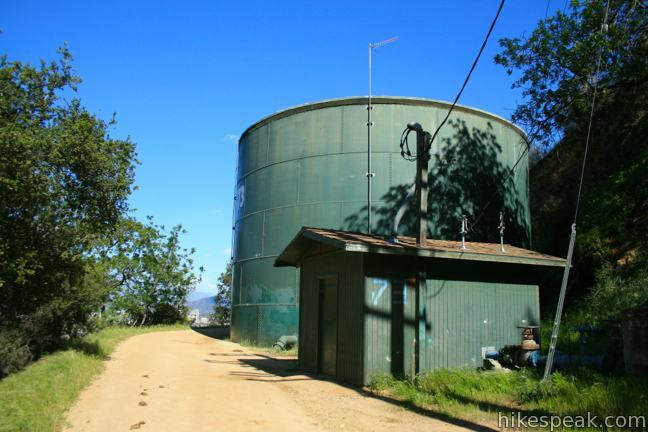 After a horseshoe bend in the road, and a quarter mile from the start, you will pass a water tower that is accompanied by broad views stretching beyond Griffith Park toward Glendale, the Verdugo Mountains, and San Gabriel Mountains. 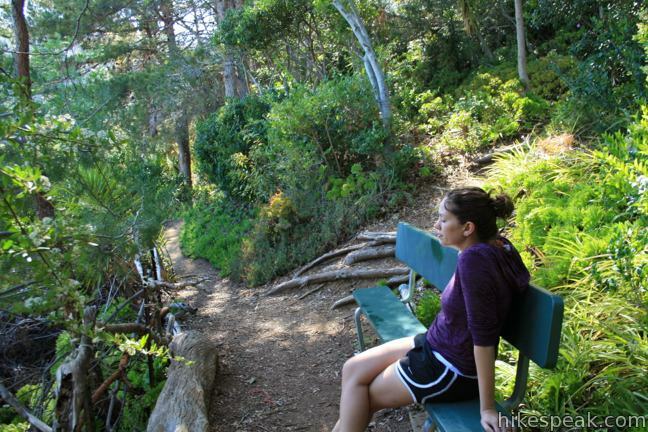 After less than half a mile, the trail arrives at Amir’s Garden where you’ll discover a pocket of tall sycamores arcing over a mountainside of verdant plants including succulents like ice plant and jade. There are a few picnic tables at the entrance of Amir’s Garden and others hidden throughout. 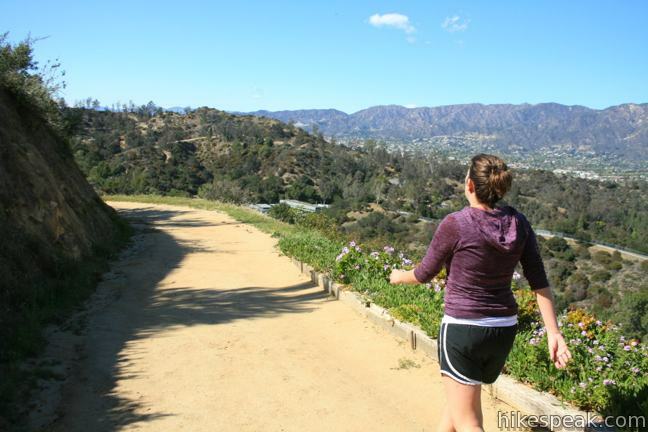 Stroll through a web of footpaths and recharge your batteries in this refreshing Griffith Park retreat. 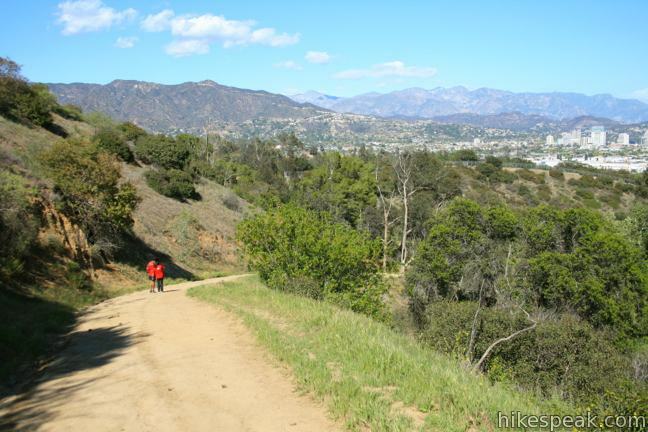 With extra effort, you may continue up North Trail toward Mount Hollywood, Mount Bell and other peaks in Griffith Park. 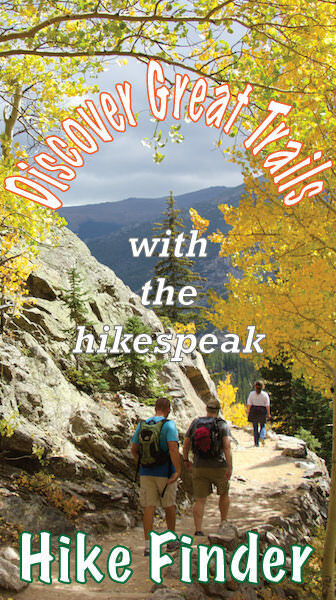 Otherwise, return the way you came for a satisfying 1-mile round trip hike. No fee or permit is required to hike to Amir’s Garden and dogs are welcome. 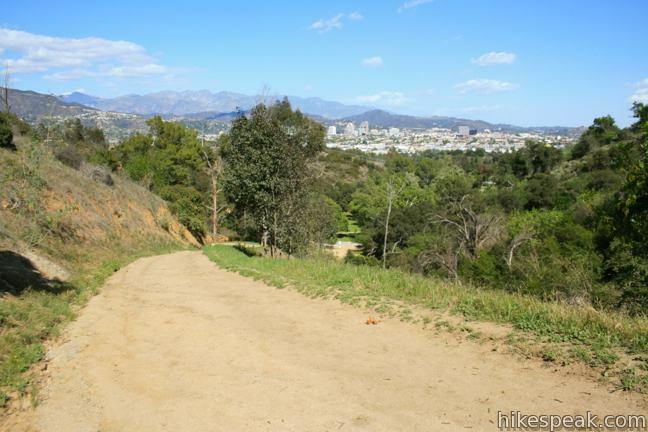 To get to the trailhead: Take the 5 Freeway to the Los Feliz Boulevard exit. 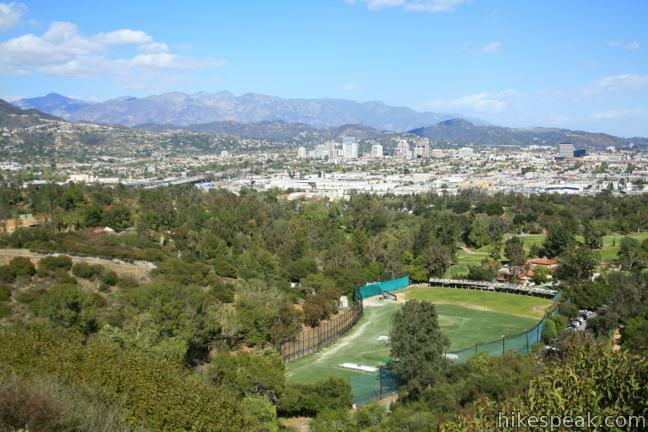 Drive west on Los Feliz Boulevard to the first light and turn north on Crystal Springs Road. After 1.5 miles, turn left on Griffith Park Drive and drive 1.2 miles to the intersection with Mineral Wells Road. Turn left onto Mineral Wells Road and park immediately in the spaces along the road. 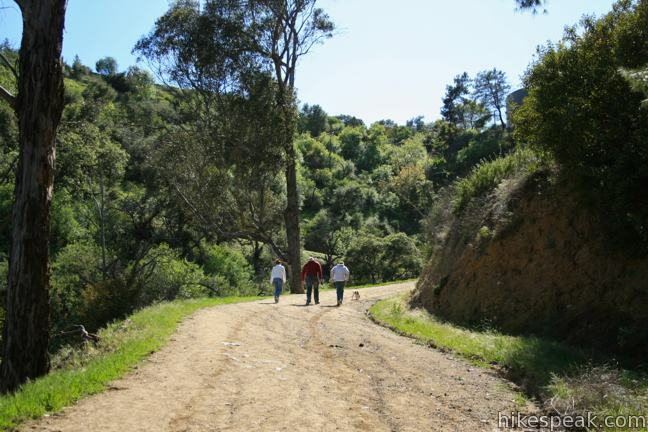 The trail to Amir’s Garden heads west from the intersection of Mineral Wells Road and Griffith Park Drive. These photos were taken in May of 2012. Click to enlarge. I invite you all to watch this trailer about Amir Dialameh (Amir’s Garden) life who dedicated 32 years of his life building this amazing garden for us. The movie will come out soon. Please pass this text to your friends about Amir’s movie. From Ashes to Eden. It is also about park rangers, Kristin Sabo, and all the people who knew Amir. I did not know the story behind this garden, thanks for your article.